Management consulting remains a popular career choice but undertaking a consulting project for the first time can seem daunting for the student or new professional. This book, now in its fifth edition, aims specifically to guide students through the consultancy process, while also giving tips and techniques to the more seasoned practitioner. This is delivered from the accumulated knowledge and insight of the authors and contributors, who all have been consultants. This fifth edition has been thoroughly revised to reflect today’s dynamic business environment. The impact of new digital technologies on consulting and business in general, and the use of evidence, gained through studies on consulting, are considered. It provides a careful balance between theory and practice and is ideal for anyone who is undertaking a consulting project. A comprehensive introduction to the best practice in conducting a consulting project. Key insights into how best to tackle the challenges that arise. Case studies from across a wide range of industries at the end of each chapter and a long case study running throughout the book. Help in choosing and developing a career in consultancy. Extensive references and further reading to underpin a student’s knowledge. Further links to theories developed in other courses such as strategy and management. In the Preface, several ‘pathways’ are provided for the different types of project a student may be required to undertake, taking into account their academic level and previous experience. Throughout the chapters, the key ideas are highlighted to aid the reader in navigating the book. New case exercises, based on real consulting projects, to put tools and techniques into practice, including a new long case study on a strategic review for a company. While gardens today are mainly created purely for the pleasure they bring, in the past making a garden or designed landscape was often about making a statement by the owner: demonstrating their wealth, status or simply their control over nature. 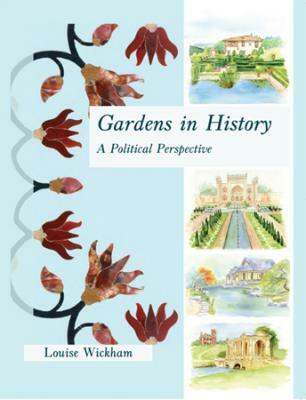 ‘Gardens in History: A Political Perspective’ looks at how the creation of gardens was, in some cases, a political statement. Certain designs and plants were used to highlight an owner’s political views, ideas or to re-enforce their political legitimacy.